Bachir, 22, didn’t recognise any of the gunmen – he was too busy escaping – and neither did he expect to. Boko Haram was a largely Nigerian insurgent group, committed to a hardline Islamist solution to Nigeria’s perceived ills. Scientists in the Democratic Republic of the Congo (DR Congo) have identified a new outbreak of avian influenza using highly specific and sensitive nuclear-derived techniques. Thanks to a quick detection and characterization of the virus and subsequent local response, the outbreak is currently under control and limited to the Lake Albert region, near the border with Uganda, scientists have said. 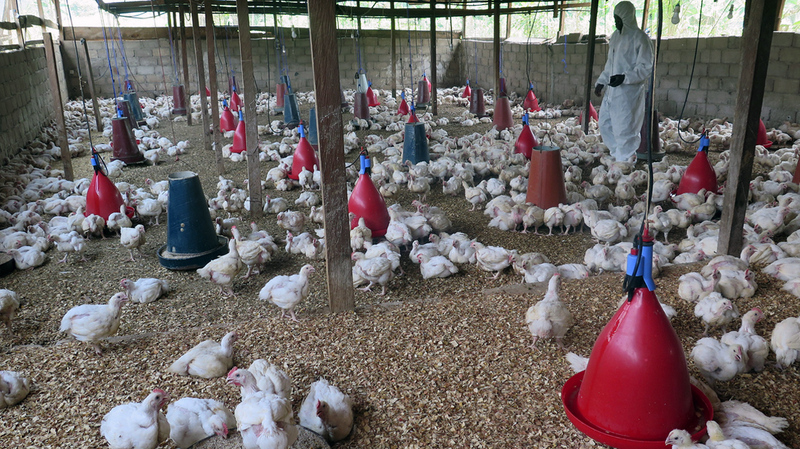 “This is the first time we spot this strain of the highly pathogenic H5N8 strain in DR Congo. We were surprised, but also lucky to detect it soon enough,” said Curé Georges Tshilenge Mbuyi, head of the Central Veterinary Laboratory in Kinshasa. Stopping the spread of the virus early is particularly important, he added: Not only does it have a devastating effect on poultry, but it can also be transmitted to humans. Tshilenge Mbuyi and his team learned how to detect such viruses and interpret the results during recent training courses organized by the IAEA and the Food and Agriculture Organization of the United Nations (FAO). They first used a nuclear-derived technique called polymerase chain reaction (PCR) technology to identify the genome of the virus. This technology allows for the identification of viruses — including Ebola — within a few hours and with a high degree of accuracy. The team then submitted specially prepared samples to a laboratory in Germany, a subcontracting genetic sequencing service that the IAEA provides to its Member States. The DR Congo laboratory then had to interpret the sequencing results received from the German lab. It was thanks to the training he received that Tshilenge Mbuyi could interpret the sequence data, characterize the virus as H5N8 and find out crucial information such as the origin of the strain and the way the disease was developing. Once the scientists confirmed the presence and strain of the virus, authorities immediately applied a series of sanitary measures to control the outbreak, including culling all domesticated and wild birds along the lake. Veterinarians are now beginning to take samples from villages in the wider region to ensure the virus has not spread, Tshilenge Mbuyi said. The same virus strain has also been detected in Uganda, Cameroon, Zimbabwe and South Africa, and experts are concerned that it may spread further in the region. “They’re wild birds that migrate with the change of seasons, so they can carry the virus across long distances,” said Ivancho Nateloski, technical officer at the Joint FAO/IAEA Division of Nuclear Techniques in Food and Agriculture. The IAEA, through its technical cooperation programme, and in partnership with the FAO, has been supporting veterinary authorities in DR Congo since the early 1990s with training courses, scientific visits, expert visits and through the provision of relevant equipment, materials and guidance for the early diagnoses and control of transboundary animal and zoonotic diseases.